Using its foldable and lightweight design, the ZAR electric scooter can be stored in your backpack, so you can enjoy your favorite riding wherever you’re. Cool? Let’s keep going. 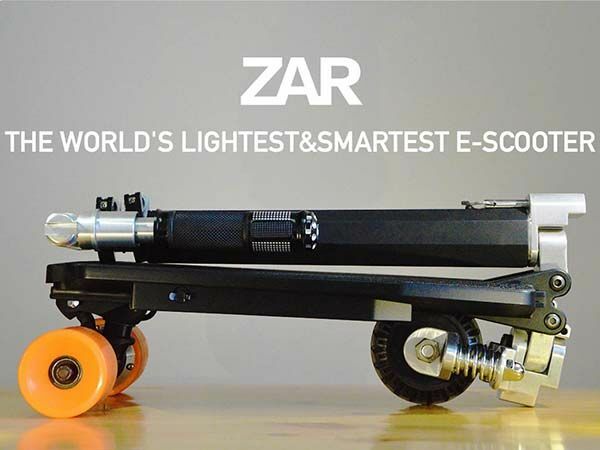 The ZAR is an ultra portable and pretty fun e-scooter that measures 1100mm height by 500mm long. 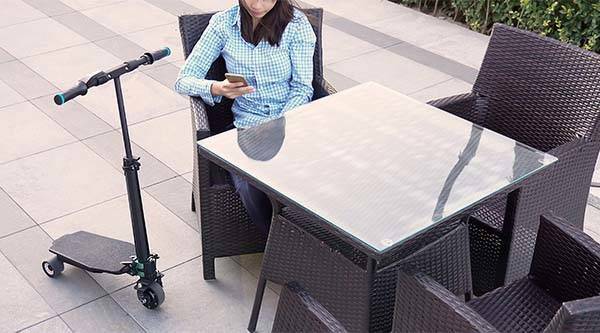 When folded, the electric scooter measures 200mm by 400mm, so you can easily store the ZAR in your backpack, and the e-scooter is made of light aluminum and fiber glass material in order to deliver you a lightweight and strong construction for easy to carry. The electric scooter comes equipped with a 200W brushless mini motor that offers a top speed of 20 km/hr (12.5 miles/h), and its 2.9Ah lithium-ion battery lasts up to 6.2 miles (10km) on a single charge. Moreover, its high configuration version features a 5.8Ah battery pack that offers up to 12.5 miles (20km) of travel distance. In addition, the ZAR also features built-in Bluetooth technology that allows it to wirelessly connect with your smartphone. Using its companion app, you can monitor your ZAR’s speed, track route and remaining distance, control maximum speed limit and etc. And two colorful safe driving lights on the handlebars are customizable via your smartphone. The ZAR has been available for preorder on Kickstarter. You can pledge $234 to own the e-scooter ($399 for its high-configuration model). It will be shipped in March this year if reaching its crowdfunding goal. BTW, also don’t miss eGroov modular electric scooter and more related cool stuff by following tags.